Yeah - I know it's stating the obvious but (wow) movie cycles sure go quick nowadays. I remember all the way back in 2010 when the movie Red  came out and (this is only a very slight overstatement) for a week or two it was everywhere (was it just me? But seemingly everything I read seemed to be talking about it? 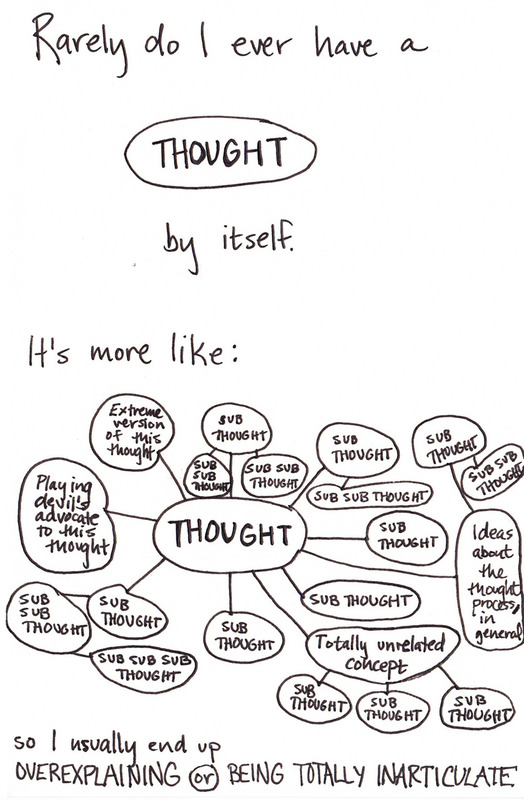 Then again - I do tend to read a lot of movie review website type things...) and then - well - nothing. I mean apart from when it came out on DVD and our library got a copy and for those first two months or so and it went out pretty much every day: but then after that - I dunno - it just kinda got forgetten about - and nowadays if you mention it to anyone then I'm guessing the response would be - huh? (Although Hell - that's just conjucture - maybe if you asked a random on the street they'd be all like - oh yeah - Red? I love that film: but who knows?). 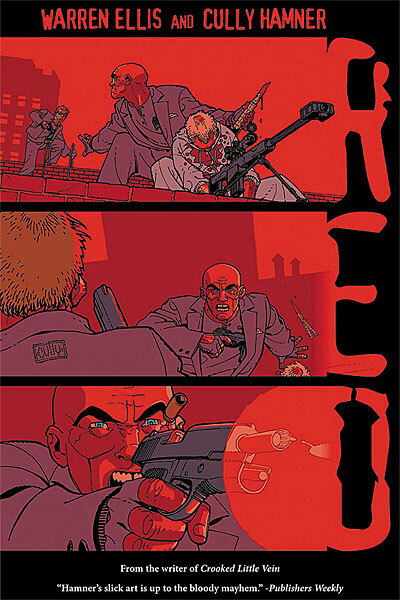 I was always slightly curious about checking Red out (literally - as in: checking it out from our library) because - well - maybe you didn't know this before (you're about to know it now tho) Red was actually based on a Warren Ellis comic (yep - that's the one in the picture above ). Compromisng only 3 slender issues Red is a nasty little gutpunch of a comic that I'm guessing I must have first read sometime back in 2009 - seeing how I can remember being pretty surprised when I first saw that trailer  - because yeah - as much as I know it's pretty lame to say this - but (if you've seen the movie ) you should know - this book is nothing like it . (Normally - I don't really go much in for taking about whatever film the comic I'm writing about is based on - because (hey) - different entities and all that right? But with Red it kinda seems that if you wanna talk about it - you do kinda need to reference the movie if only because it's pretty much the reason that anyone would even bother with it anyway - I mean - the quote on the cover of the book is from Publishers Weekly ("Hamner's slick art is up to the bloody mayhem") - which really (sorry Publishers Weekly) is only one step up from having a review from Amazon  or something... And the only reason that there's a version of it with just Red by itself (no Tokyo Storm Warning  with this edition - sorry) is because of Bruce Willis and his merry band of friends - thus that little sticker at the top: "Soon to a be a Major Motion Picture!"). But: yeah - just from watching that trailer all that whole jolly almost-carefree "We're getting the band back together" vibe (awww! Look how cute they all are! It's like The Best Exotic Marigold Hotel - only with more guns!) - well: it's like comparing tea and crumpets to (erm) liquid dynamite. Yeah yeah - I could be totally wrong - but from that trailer - Red (the film) looks like some sorta sub-Burn After Reading type caper with added a few added explosions and violence to make sure no one falls asleep  (and hey - I've gotta admit that's kinda a funny image: someone watching a Coen Brothers movie and going: "You know what this needs? More explosions and violence.") - although maybe the only reason I'm thinking of Burn After Reading is because of the presence of John "Malkovich " Malkovich? (Also - at the risk of sounding too much like a fanboy - at the end of the trailer there? That's Die Hard beating up Judge Dredd! OMG! etc). While Red (the comic) is much more... well - let's get into that shall we? Red the comic - well - if you wanted to compare it to a film - it's less like a caper flick and more part of that (ever-popular) genre of one lone man with a gun going around and shooting lots and lots of people - think of Steven Soderbergh's The Limey, James Cameron's The Terminator or - well - any film starring Jason Statham. It's not so pretty - and not so joy-filled - but hey: there's lots and lots of violence. Except (and this for me is what makes the book worth reading) - it's not exactly mindless escapism and very far from being consquence free. Because unlike most of the guilt-free gun-play comics which are out there - Red makes an effort to distinguish itself by choosing to focus on the reasons and consquences of why there are people out there who go around killing people in the name of - higher ideals. In fact - if you just popped the book in my hand and let me read it without seeing the cover then I would have guessed that it was written not by Warren Ellis (it doesn't have as much (or any) of the crazy science stuff I mostly know him for) but more like the grim-and-gritty version of Garth Ennis (like 303 or something like that). The film based on this book? Bruce Willis, Morgan Freeman, John Malkovich, Mary-Louise Parker, Helen Mirren, and Karl Urban? No? Not ringing any bells? Well - here's the trailer - enjoy! And what is it with Hollywood making films based on obscure little comics that no one (sometimes not even me!) has never even heard of? Cowboys and Aliens? Based on a comic. Surrogates? Based on a comic. A History of Violence? Based on a comic. Road to Perdition? Based on a comic. (Also - Virus (from 1999 with Jamie Lee Curtis? No?) and Timecop (the Jean-Claude Van Damme film from 1994? Don't act like you don't know what I'm talking about...) and Men in Black (yep) = all based on comics). I mean - I can guess the probable reasons (I'm guessing it's easier to sell a film when it looks like you already have the storyboard written - plus - you know - Hollywood ain't exactly known for being the birthplace for fresh new exciting ideas - but still - come on). And - in fact - if you're interested: it originally came out all the way back (even further) in 2004 in a dual format / two comics for the price of one! format with another Warren Ellis comic called Tokyo Storm Warning (that we still have available in Islington if you're interested?) - that's basically Warren Ellis putting his own evil spin on that (excellent) Japanese genre of: people wearing giant robot suits and fighting giant monsters (I mean - the build-up is good - but the end is a bit of a let down). And obviously obviously I haven't seen the movie (which you would think would rule me out of the position of being able to comment on what the movie is actually like) - but come on: you can definitely (absolutely) get a sense of what a film is like from watching a trailer - right? (Right). In fact - I've been racking my brain to think of another example where the source material and movie adapation have been so far out of whack from each other - and the only one I can think of is Wanted (comic by Mark Millar film by Timur Bekmambetov....). But I know there's loads others (just can't think of any - damn). (Oh! Wait a second - Alan Moore adapations! Namely (the worse offenders and one's which scared him off Hollywood: From Hell and The League of Extraordinary Gentlemen (or as they called it when it came out - (however hard this may be to believe) - LXG ). According to Alan Moore: ""The film cost £100 million because Sean Connery wanted £17 million of that - and a bigger explosion that the one he'd had in his last film. It's in his contract that he has to have a bigger explosion with every film he's in. "In 'The Rock' he'd blown up an island, and he was demanding in 'The League...' that he blow up Venice or something like that. It would have been the moon in his next movie." Or - even worse: IMDB - like on the cover of the DVD to the Celestine Prophecy ("Outstanding. I was inspired... a great movie") - I mean - really? Oops - that makes it sound like I'm having a dig at Burn After Reading (which I would hate to do - because - I seriously love it (have you seen it? Oooh - you really should). It's more like I'm having a dig at the sort of people who I imagine made Red and the sort of way that I imagine they think about their audience (you know what they say about how explaining a joke kinda kills it? Well - yeah - maybe I shouldn't have even have bothered trying to be so droll... (oh well). Malkovich Malkovich Malkovich Malkovich Malkovich Malkovich Malkovich Malkovich Malkovich! Further reading: 303, Richard Stark's Parker, Button Man, Queen & Country, The Punisher: This Punisher MAX, Sleeper, Black Summer, Elektra: Assassin, Scalped, Desolation Jones.